The 34th IACA Annual Conference was held Sunday, June 5, 2011, through Thursday, June 9, 2011, at the Delta Winnipeg in Winnipeg, Manitoba. 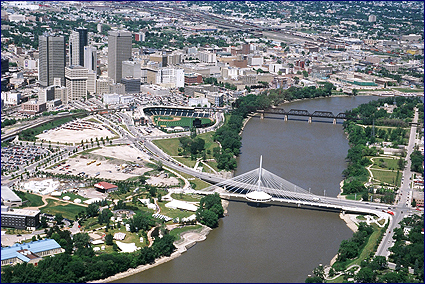 Tourism Winnipeg will help you learn more about the city of exciting attractions, cultural events and booming business. All of the materials were distributed at the Conference on flash-drives only. The following materials correspond to the general and joint sessions scheduled for the 2011 IACA Conference in Winnipeg, Manitoba. As a reminder, printed materials will not be provided at the Conference. If you wish to have printed materials with you during the session, IACA encourages you to review the material and print any items of interest in advance. Presentations will be posted after the conference. The following materials correspond to the BOS meetings scheduled for the 2011 IACA Conference in Winnipeg, Manitoba. The following materials correspond to the ITS meetings scheduled for the 2011 IACA Conference in Winnipeg, Manitoba. The following materials correspond to the STS meetings scheduled for the 2011 IACA Conference in Winnipeg, Manitoba.